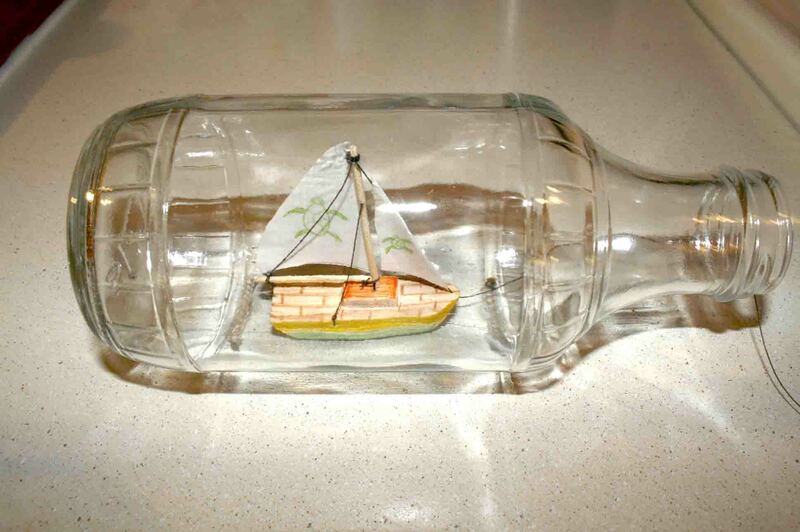 Daniel Siemens has created a prototype ship design to use for a ship in bottle building class he will be conducting for children generally in the 7 – 12 year old range. It was based on a ship the Rocky Mountain shipwrights make for children. It is also the plan he built with his own three year old who picked out all the colors and helped paint. According to Daniel “the masts had to be replaced twice, but it did survive at least a dozen bath times, as it mostly turtled without ballast. 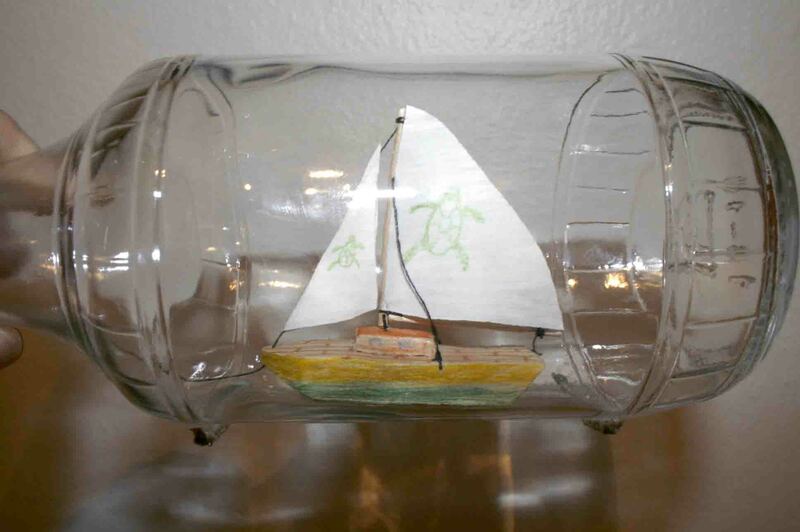 This is the inspiration for adding a turtle to the sails on the bottled version. “I got my wife to color the bottled version since the kiddos were in bed. I drew the turtles on the sails later. 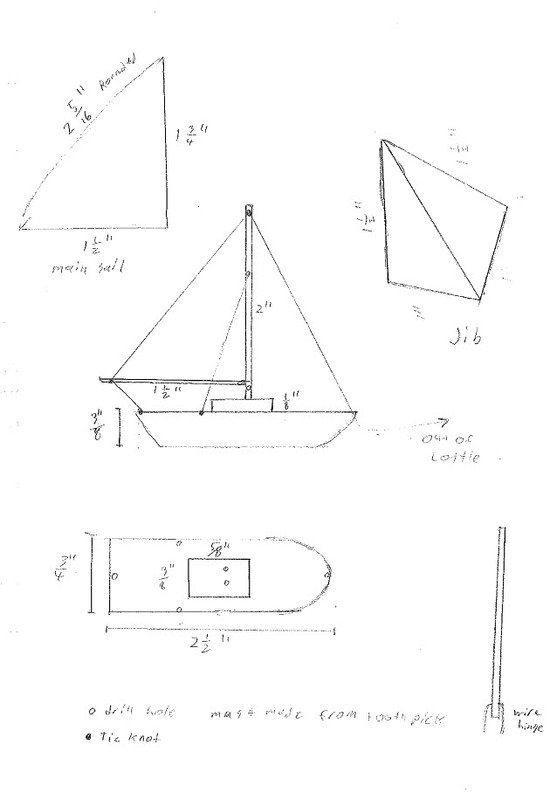 My plan for the ship in bottle class is to get an assortment of stickers that the kids can put all over the sails and probably crayons and markers for coloring. The ship is not fully bottled yet, thus the slack lines. I'm taking it to the club tomorrow to see what everyone thinks. We will pull it out get some measurements, draw out some plans, and make 30 of them for the class on August 10th,” reports Daniel. We know the building projects will go well and look forward to seeing some of the finished products.